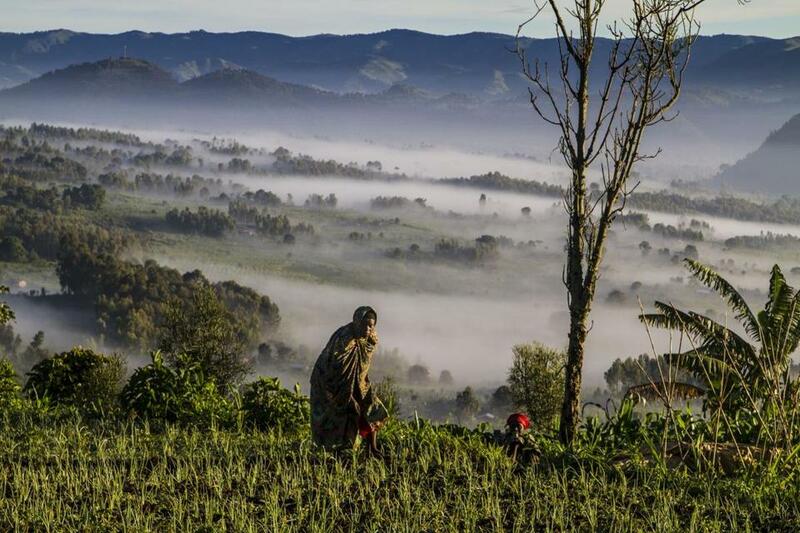 A woman works in fields just down the path from Virunga Lodge in Rwanda. Most agricultural work is done by hand. Things to know if you plan a trip to Rwanda and Uganda.